When the rain washed away Sunday’s original plan, we decided to head to The Depot Manchester which had just opened the day before. Naturally it was busy, but there was plenty to climb and it didn’t feel overly crowded, because this climbing centre is absolutely huge. There are just so many, I don’t even know where to start! Every angle and type of wall you could wish for seems to be under this one (massive) roof. Built by Walltopia which is represented by Beacon Manufacturing here in the UK, (and also linked to Beacon Climbing Centre, North Wales) they are very impressive structures. They look clean and modern with the chosen colour scheme, and the problems were very inviting due to the spacing and layout. 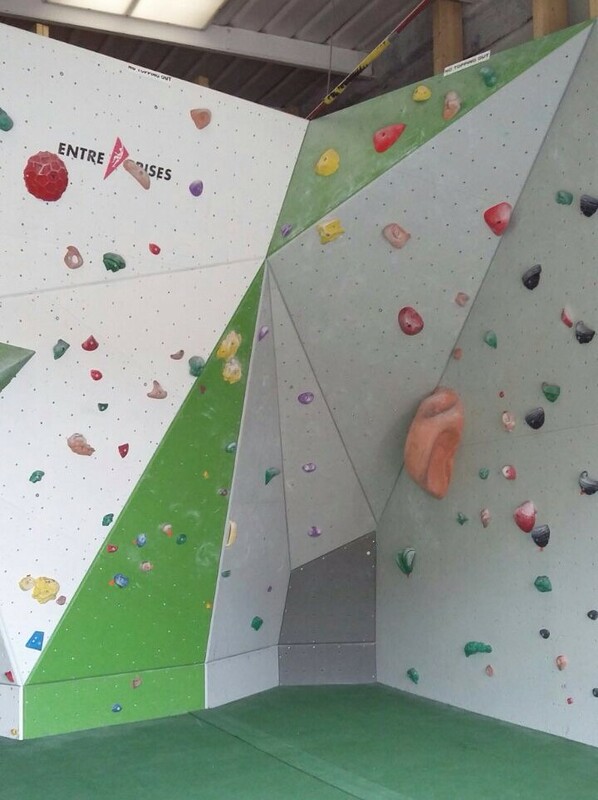 The climbing walls wrap around the perimeter of the gym, plus there are a variety of different sized/shaped blocs dotted along the middle of each side, but I think one of the most impressive features is the boulder which you see as you walk in. The usual colour V grade circuits made it easy to pick out what we wanted on the wall. The current problems are set by The Depot’s team Tom Newman and Roberto Stallioni, plus notable professional climbers Ian Vickers, Dave Barrans and Dave Sutty. Overall the problems felt nice to climb and most importantly fun! My only comment would be that the grade brackets seem to overlap quite a bit from V3-V5, so if you prefer to know more specifically what grade you are climbing this could be a small niggle. What I really enjoyed was getting to try various holds I had previously never experienced. Going from gym to gym you get to know what certain holds are like, because you’ve held them in a different colour at another gym the previous week. However, the holds used in The Depot were new territory for me, I saw a lot of CORE holds on the walls as well as some really interesting features. Going down the day after it opened I was nervous it was going to be a little claustrophobic and too busy to actually get on the wall, however despite it being full of climbers it didn’t feel crowded, and it was easy to find something to play on. The atmosphere felt nice and relaxed but still professional, and the team behind the till were very friendly and welcoming. 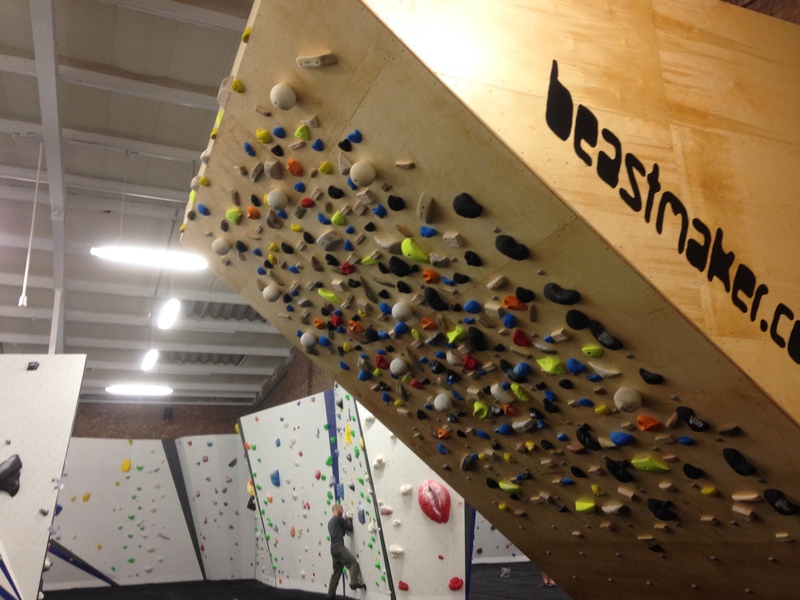 Insane Beastmaker board, circuit walls, campus rungs, hang boards, whatever training you’re doing, you can most definitely do it here, there are even auto belays! Parking was easy enough, with it being on an industrial park there’s always a little pocket for your car. Hot drinks and snacks were available with a spacey sitting area which looks out to the wall. Lockers and cubby holes were plentiful, plus changing rooms too. I noticed a smaller area towards the back of the centre with a corner wall, perfect for little climbers if it was a family day out. Overall it’s obvious no expense has been spared, and I think it speaks volumes that I’m heading back on Sunday again with a group of climbing friends. Going forward I will most likely make the effort to visit The Depot monthly due to the distance from home, but I can tell it will be worth it! I can’t wait to see what the future holds, this climbing centre has definitely set the standards for any future gyms, and as a result it will surely be the home of some very strong climbers. If you follow me on Instagram or Twitter (agirlwhoclimbs on both… shameless plug!) then you may notice that I tend to hang around the same climbing gym, as all my photos at the moment have the same holds and mats in the background! Haha. 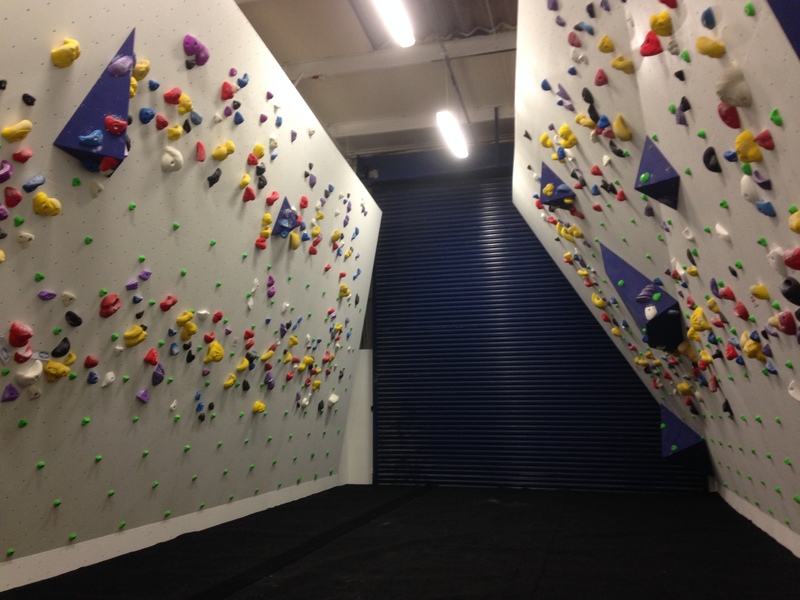 I chose this climbing centre as my first to review because this is where I very first discovered bouldering in all its glory. It only seemed right to start at the beginning. 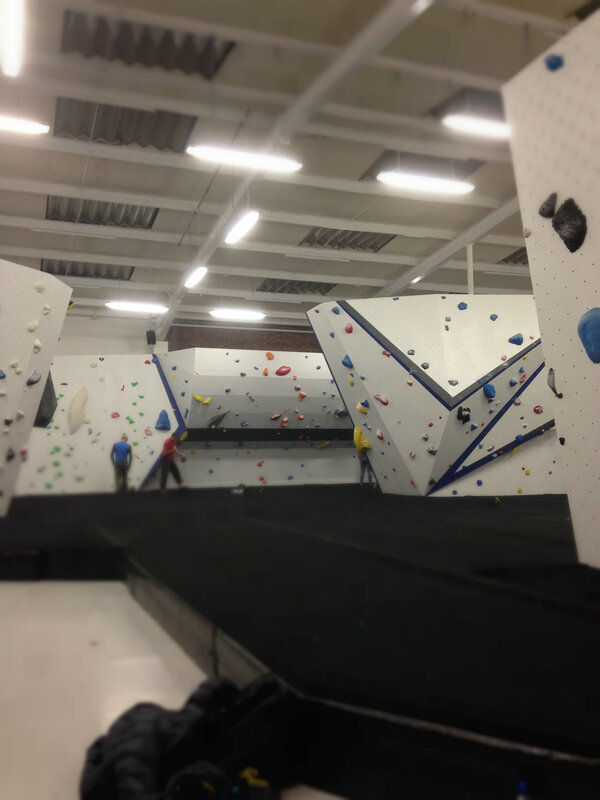 Be Boulder is an indoor bouldering gym found in Widnes, a small town close to Liverpool and Manchester in the UK. It only opened in 2013 around Christmas so it’s still fairly new. The walls are built by Entre Prises and look enticing with a little bit of everything e.g slab, cove, boulder. They have a sandy texture which is good for smearing and replicates some outdoor textures, but this also means it can wear the rubber down on your shoes. I personally feel that the space could have been used better, and it would have been nice to see a solid 45 degree wall or a cave/longer roof. However there is plenty to play on and try. Another aspect making this gym unique is that it has a top out boulder. This means you can actually climbing on top of the boulder like you would outside to finish a problem. You can work on your mantle and heel rock over for topping out, or my personal move is the salmon…I’m still practicing. 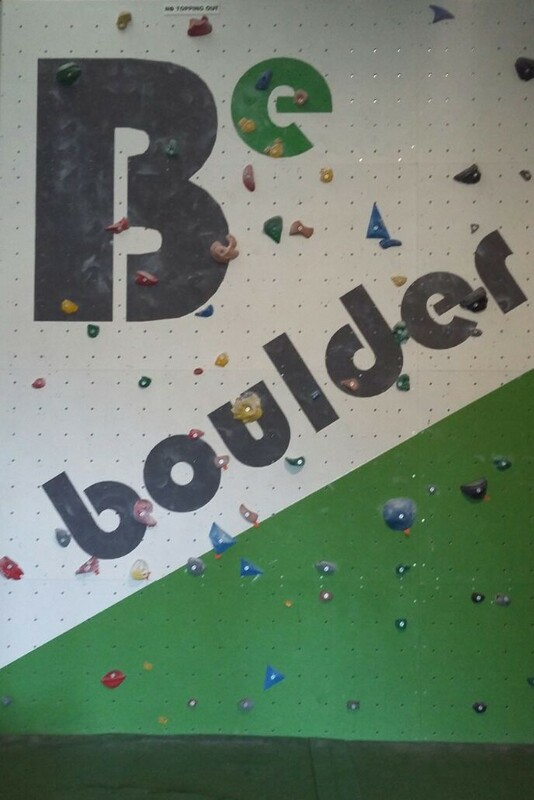 Despite being on the smaller side, Be Boulder does have a lot to offer in terms of the problems and the quality. 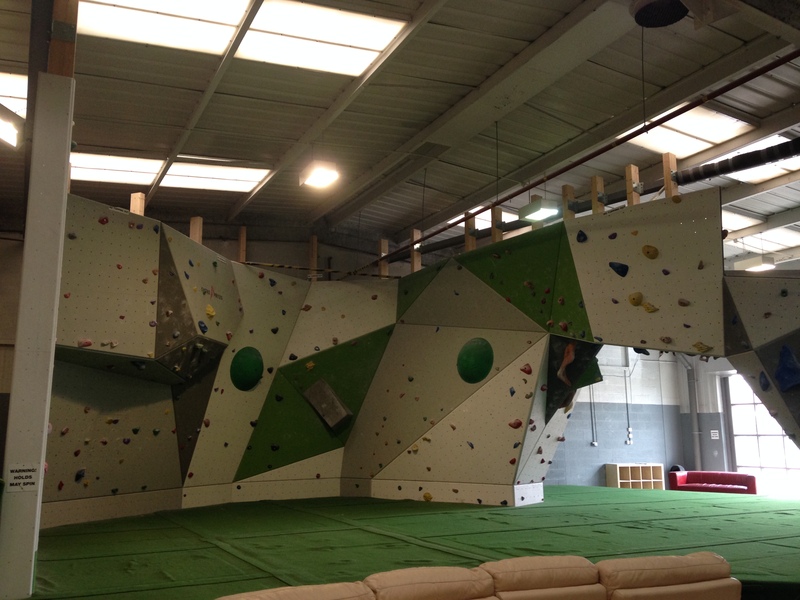 Set by Alex Fry, this i s the place to climb if you want to get beastly strong. Currently using a tagging system, so any colour can be any grade, this allows the climbers to get a feel for holds they may never have tried before at their current climbing level. The grading is pretty good, although there are some higher graded problems that feel lower and vice versa, but arguably you’ll get that in most centres. As good as grading is to help gauge where you are, I wouldn’t stick to climbing that grade. If you see a problem you like the look of, no matter the level, just go and climb it and have fun. The staff at Be Boulder are very welcoming and friendly, which makes for a relaxed atmosphere. This gym does seem to get quite a few parties/groups of minions kids in, and due to the size of the gym you may find yourself taking a longer rest than usual as they excitedly climb all over the walls. The gym staff will usual post on their Facebook page when the parties and groups are due in so you can plan your climbs in advance. There is not climber specific training area (e.g. system board/campus rungs), but they do offer a gym area at the back with pull up bars, weights, foam roller etc. Also a beast maker, hanging board and climbing/swing rope are available, all of which is free to use if you’re climbing. Climber fuel is readily available aka coffee and tea, as are a variety of snacks to keep your energy up, and plenty of sofas to plonk your tired bones down on. You’re very welcome to bring your own sandwiches and snacks. All of the above is pretty cool, but what I love the most is that they have recently started selling Mad Rock gear! If you live in the UK and you’re a gear geek then you may understand my excitement. Mad Rock is so difficult to get hold of here, so having Sharks and a R3 crash mat on the door step is pretty awesome. Everything is available to buy or order on the website if you click here. I have taken breaks from climbing here to climb at The Climbing Hangar in Liverpool, and The Boardroom in North Wales, yet I always find myself coming back. 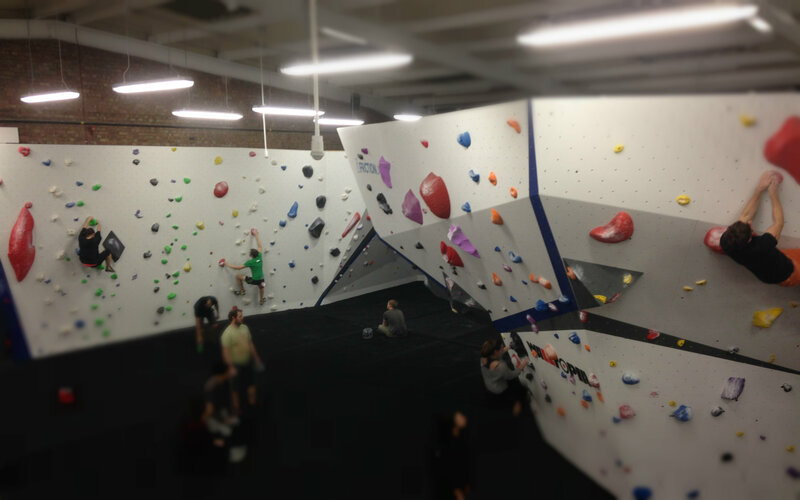 This is an awesome gem of a bouldering centre, and I like to think of Be Boulder as the small but mighty gym. I’m excited to see how it grows and develops, and would encourage you to make a trip to try it out. Don’t forget to check them out on all the social medias too – Twitter, Instagram, Facebook!